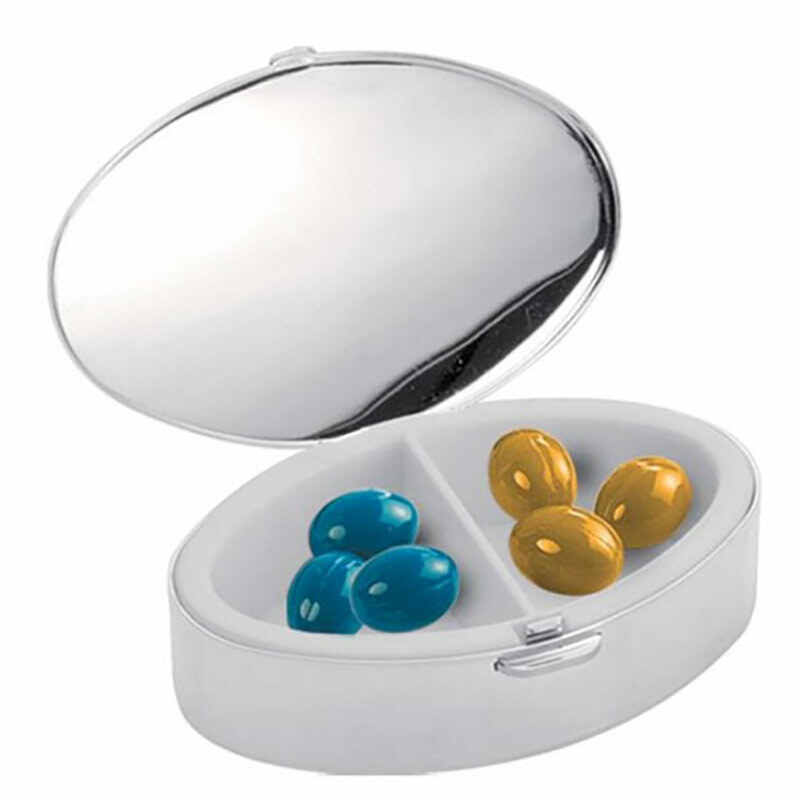 These oval shaped pill boxes feature a polished chrome plated finish on the exterior, ideal for customising with an engraving. The interior features two compartments in a hygienic lining, perfect for two different types of pills or for two measured doses. The hinged lid includes a push-button fastening clip. 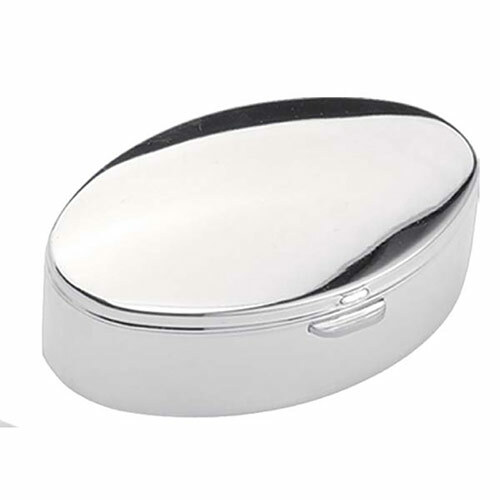 These lidded pill boxes are offered with free engraving of text and logos, allowing you to customise them with a company or brand logo, a marketing message, or a personal inscription.